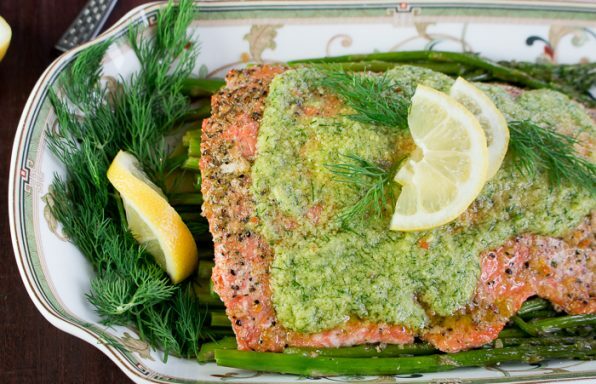 You are just going to love the simplicity of the fresh herbs and spices, crispness of the vegetables. The shrimp have a little delectable crunch when you bite into them that is completely addictive. Have you ever been on your way home from work and realize that everything is still frozen solid and it would take ages to put dinner on the table? 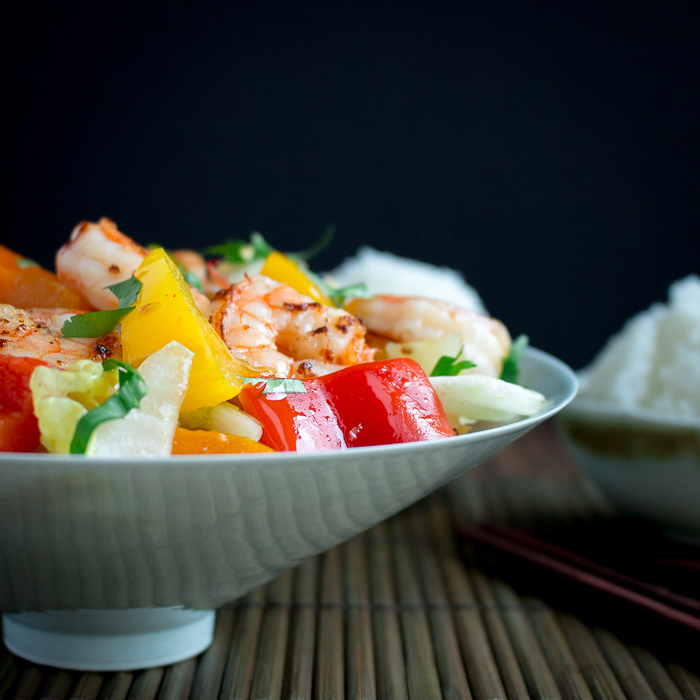 Have no fear an easy Clean Eating Shrimp Stir Fry can still be on your table in under 30 minutes, even if your shrimp are still frozen. Shrimp just take a moment to thaw under cool water. If you buy the already peeled deveined and tails off shrimp, you are even further ahead in the game. How many of you out there are trying to eat a little lower carb diet? 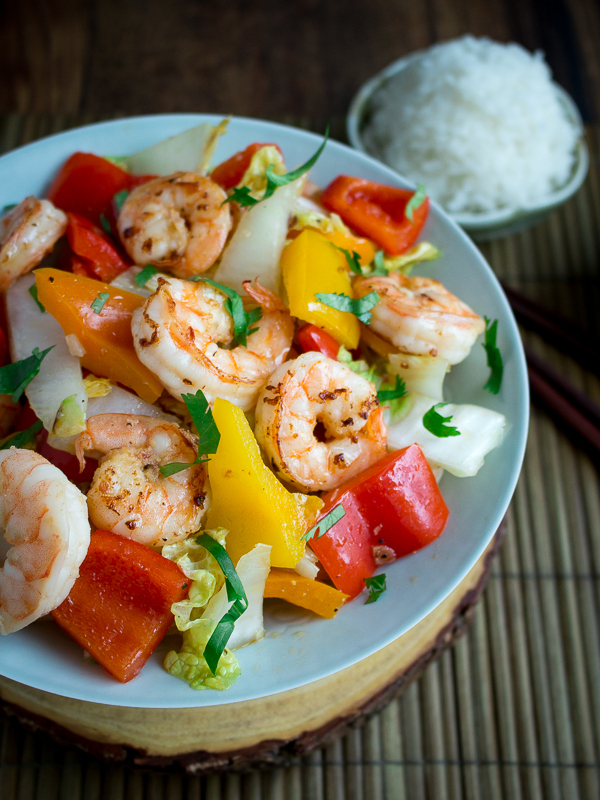 Clean Eating Shrimp Stir Fry ticks all the boxes and it is super easy to make. 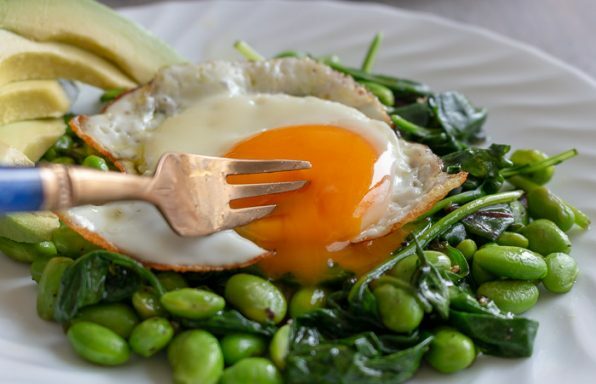 We find that to be able to stick to a low carb diet that we need to add a little healthy fat into our dishes to keep us fuller longer. We added a wee bit of coconut oil or you can use grass fed ghee or just increase the amount of sesame oil. You can serve up a little stir fried cauliflower rice on the side for the low carb members in the family and Jasmine rice for the non-low carb members in the family. 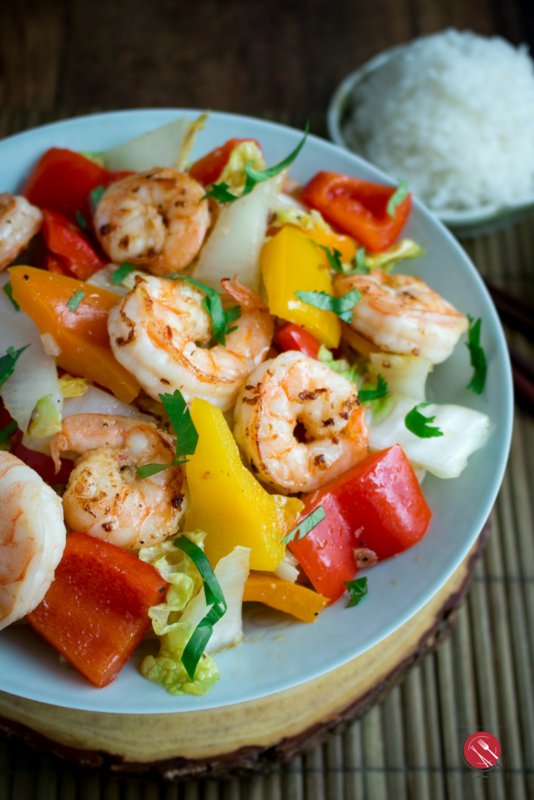 If you’re trying to eat healthier, then this quick and easy Clean Eating Shrimp Stir Fry dinner is just what you need to stay on track. You shop for your ingredients on the perimeter or the store or can get everything you need on a quick trip to the wet market. We served up our delicious meal in this beautiful "light blue" antique serving bowls from China. Have you ever been to Foshan, China? A must visit bucket location if you are into pottery, China, little plates and bowls. Just because dinner is on the table in less than 15 minutes, does not mean we have to crack out the chipped and cracked old ikea plates. No siree! There is no sugar, honey or anything else strange that does not belong in a good Chinese meal. Sweet and sour chicken or teriyaki chicken does not even exist in Asia, all that added sugar is an American trend. What is up with everyone needing SUGAR? Absolutely every processed food item has some form of sweetener in it. 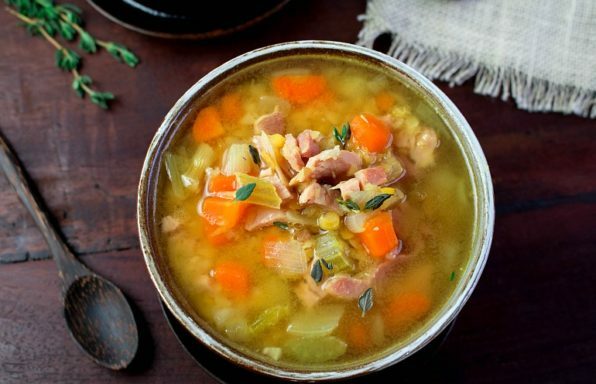 Have you looked at the ingredient list of some of your favorite items? Why is there sugar in my salad dressing? Eating a lot of added sugar can lead to obesity, type II diabetes and many other health concerns. Companies know that sugar is addicting and if they add it in their product, you will be buying their product again. However, companies are sneaky and they call sugar or sugar substitutes by many names such as cane sugar, agave nectar, barley malt, date sugar, blackstrap molasses, carob syrup, corn syrup solids, dextran, ethyl maltol, fruit juice, maple syrup, glucose solids, sorghum syrup, brown sugar, caramel, dextrose, fructose, honey, fruit juice concentrate, evaporated cane juice, invert sugar, malt syrup, raw sugar, sucrose, rice syrup, molasses and the list goes on. However, the problem is that these products spike your blood glucose level, even though so called healthy natural versions such as honey or maple syrup. It may be time to retrain our brains regarding sugar. We are making a strong effort to avoid it when we can. Do you know that something strange happens when you quit sugar? 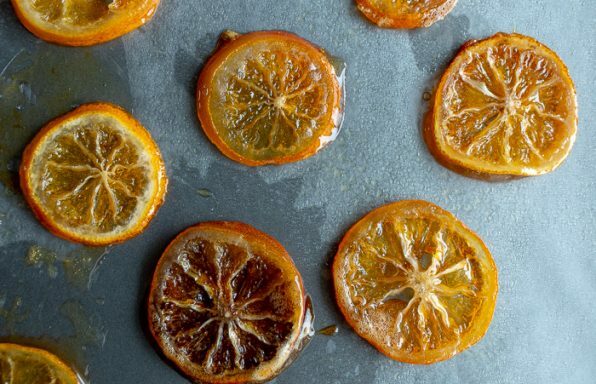 You really notice when something is naturally sweet. Your taste buds become alive again and you can really taste your food. 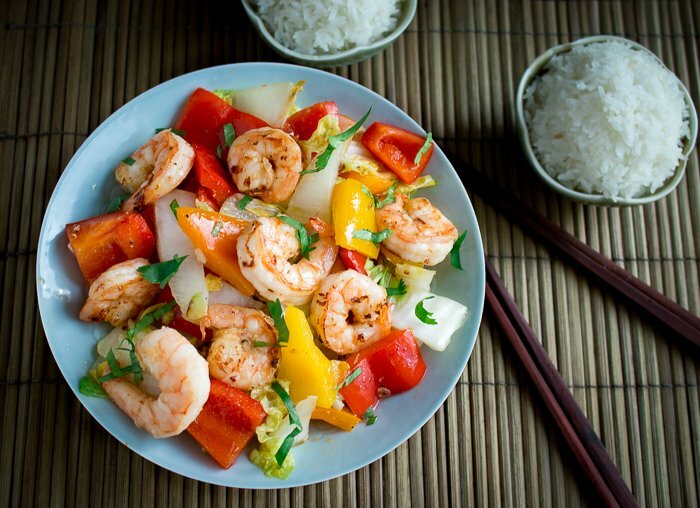 Clean Eating Shrimp Stir Fry has just a few Ingredients, all natural and 15 minutes from chopping board, to wok to dish. You gotta love that! 1In a wok or frying pan, add oil, ginger, garlic, chili and fry until just aromatic. Add shrimp and fry over medium high heat for just about 2-3 minutes or until no longer translucent and pink. Season with salt and pepper to taste. Add ghee or coconut oil if desired and toss. 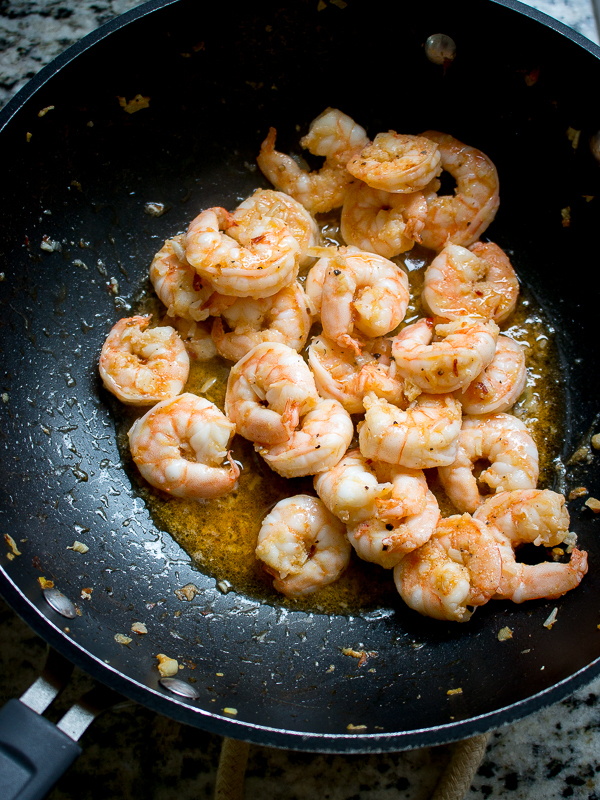 Remove the shrimp from pan and keep warm. 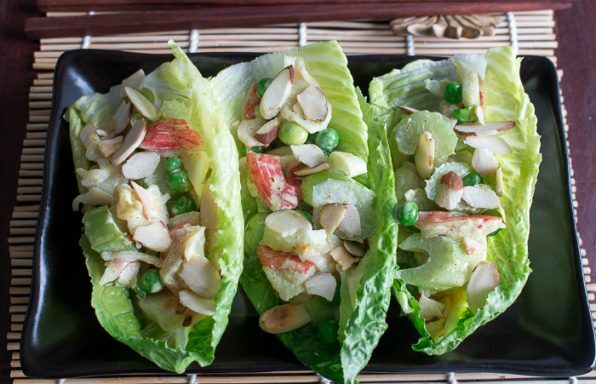 2Add your bell peppers and the firm white sections of the napa cabbage, season with salt and pepper to taste and stir fry for 1 -2 minutes over medium high heat. 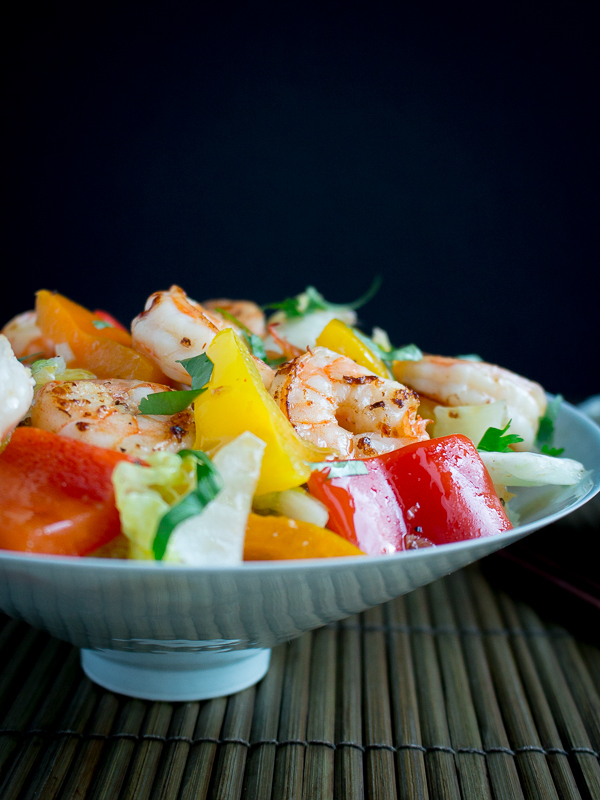 Add the top section of the leafy portion of the napa cabbage and cooked shrimp and stir fry for just until the napa cabage leaves begin to wilt or about 30 seconds to 1 minutes. 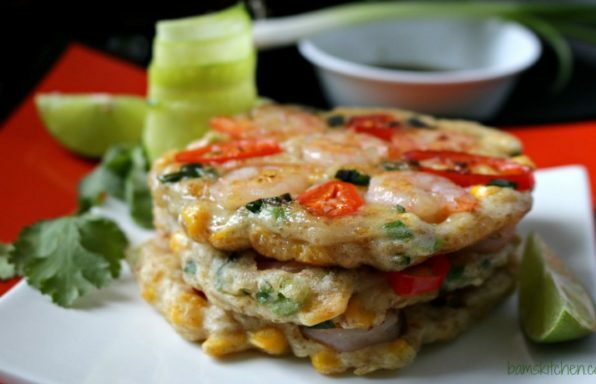 3Garnish with green onions or cilantro (optional) and Enjoy hot!